“The most concerning thing is the loss of jobs in manufacturing, which we’ve all been on red alert for. That’s not a good sign for investment in this country,” said one economist. “There was some very weak job growth for some blue-collar sector jobs,” said Andrew Chamberlain, chief economist at Glassdoor.com, pointing to anemic growth in sectors like transportation and mining. 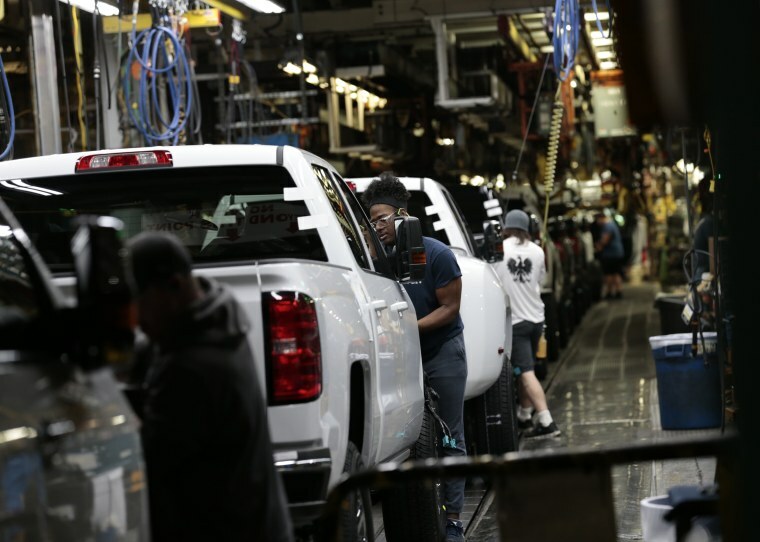 “The most concerning thing really… is seeing the loss of jobs in manufacturing, which we’ve all been on red alert for,” Wright said, noting weakness in durable goods jobs in particular. “That’s not a good sign for investment in this country,” he said. In its new survey, Deloitte found that a whopping 84 percent of chief executives expect a downturn or a recession in the U.S. by the end of 2020, and 15 percent say they already see evidence of a downturn at their firms. The CFO Signals survey found that shrinking the employee roster is a primary strategy corporate finance chiefs rely on to mitigate the risks of a downturn, with 54 percent saying they either will or already have cut back on hiring. One in five say they will implement staffing cuts — and 18 percent say they have already begun to reduce headcount. Private-sector job growth tracked by ADP and Moody’s Analytics found that just 129,000 jobs were added in March — a surprising miss from the 173,000 estimated by economists polled by Dow Jones. And a new report from Challenger, Gray & Christmas found that, while American companies announced fewer job cuts last month than in February, first quarter job cuts climbed by 36 percent on a year-over-year basis, the highest first quarter total since 2009. “Companies need to get ahead of any type of a downturn,” Challenger said, because even downsizing costs money in severance and administrative expenses. incurs expenses. “It’s not a cost companies can turn off very quickly,” he pointed out, which could prompt some businesses to proactively shed workers.